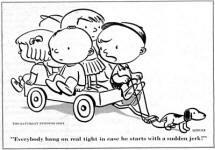 Since Charles Schulz's death in 2000, books have been published documenting his life and how his experiences influenced Peanuts characters' appearances and behaviors. 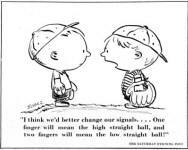 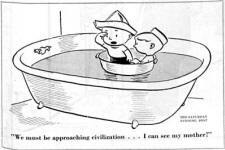 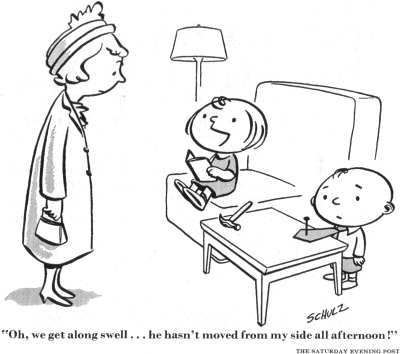 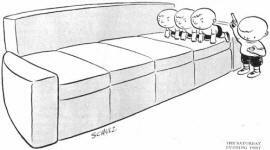 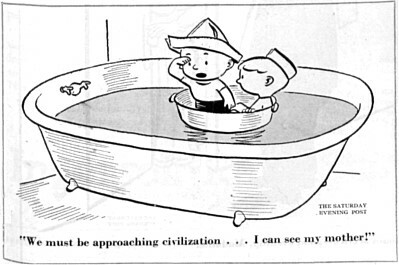 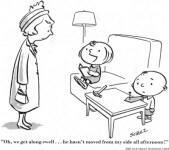 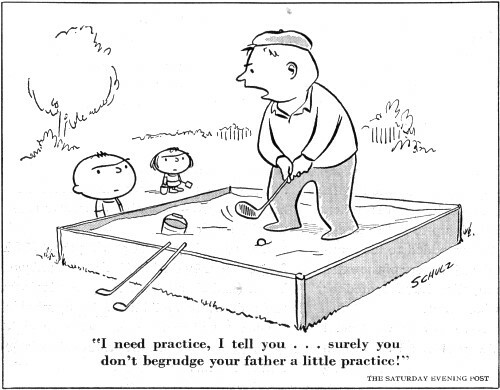 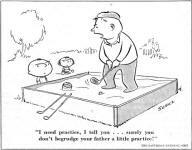 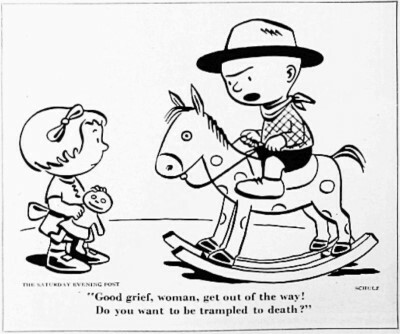 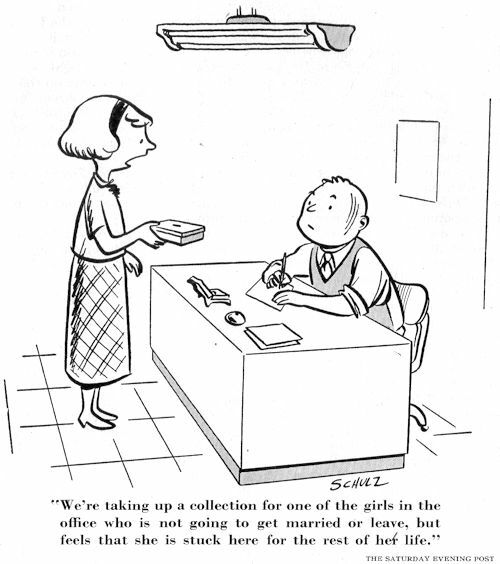 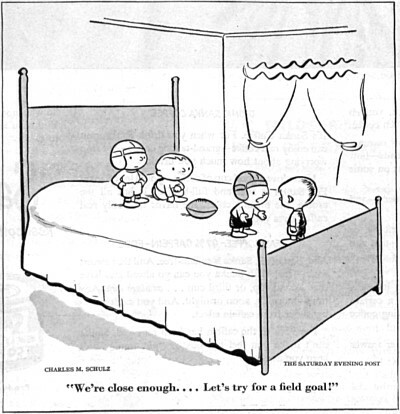 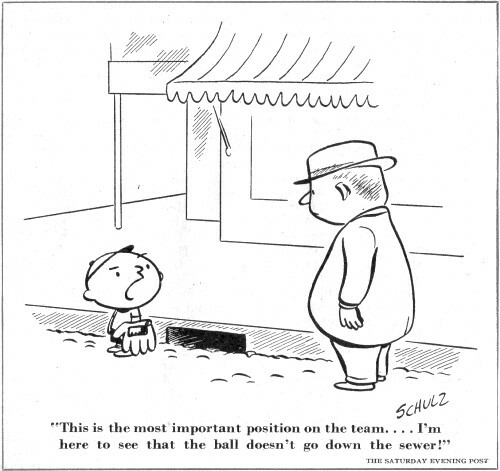 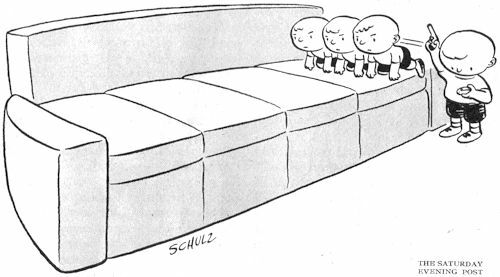 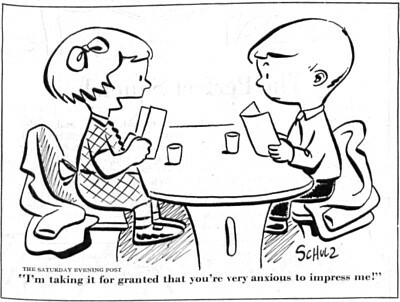 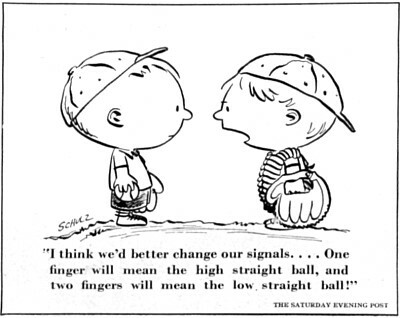 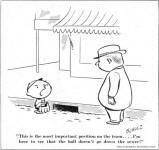 It is apparent from the content that Mr. Schulz hearkened from an era much different from today. 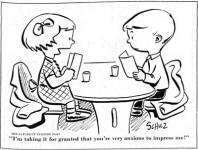 It is hard to imagine a start-up comic akin to Peanuts being accepted in the much cruder, meaner, and less polite world of 2009. 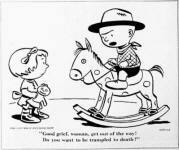 In case you are also a Peanuts fan and have not already assimilated your own collection of books and paraphernalia, here are a few that I recommend. 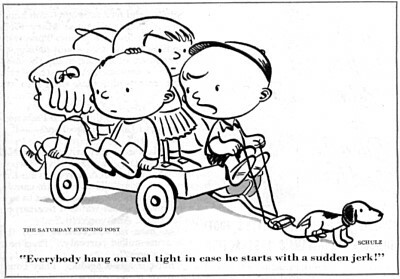 See my page of Peanuts paraphernalia. 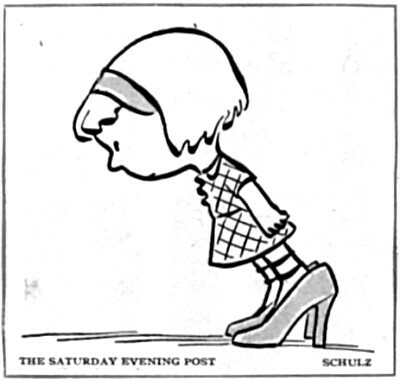 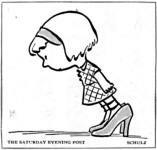 One interesting tidbit that I found in Peanuts: The Art of Charles M. Schulz, is a list of the edition of The Saturday Evening Post where Schulz's first for-pay comics appeared. 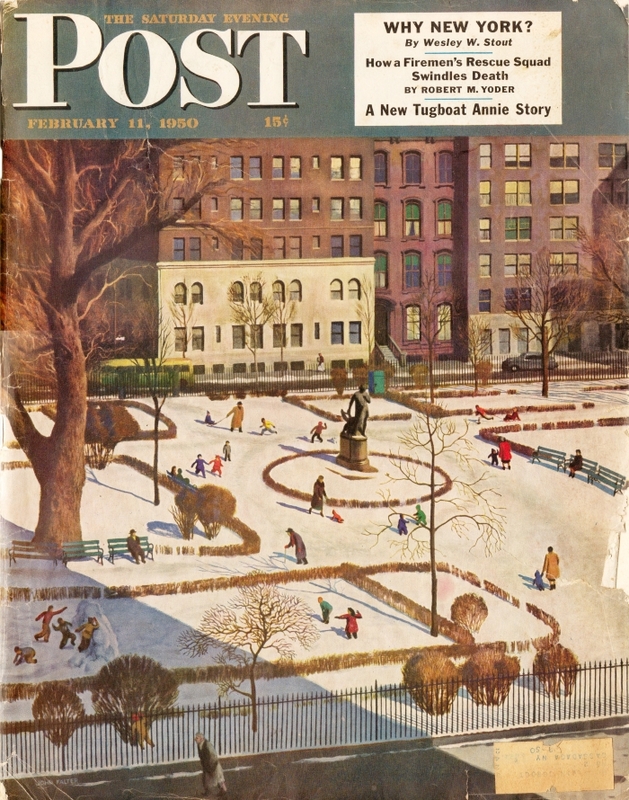 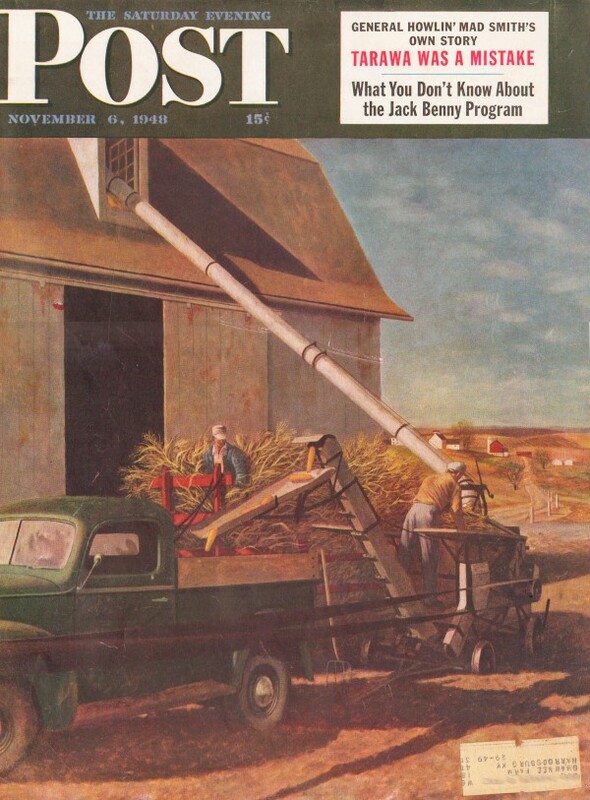 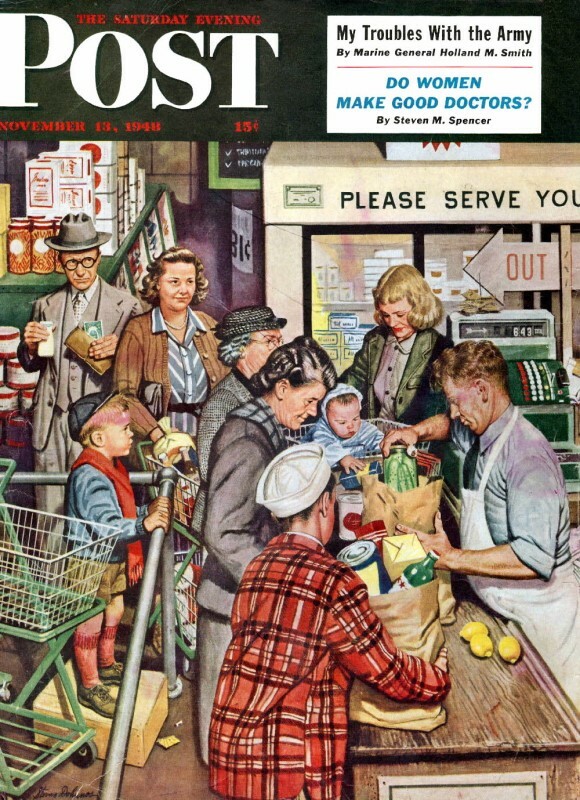 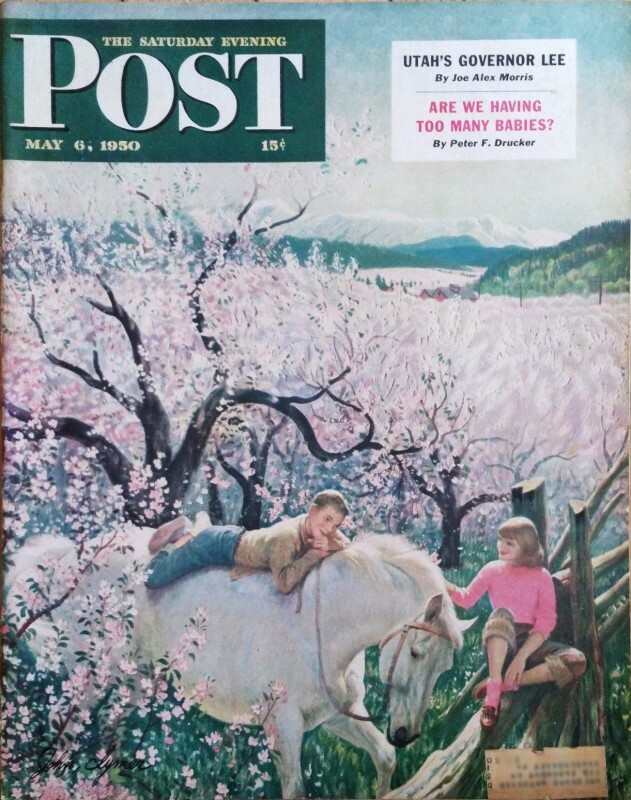 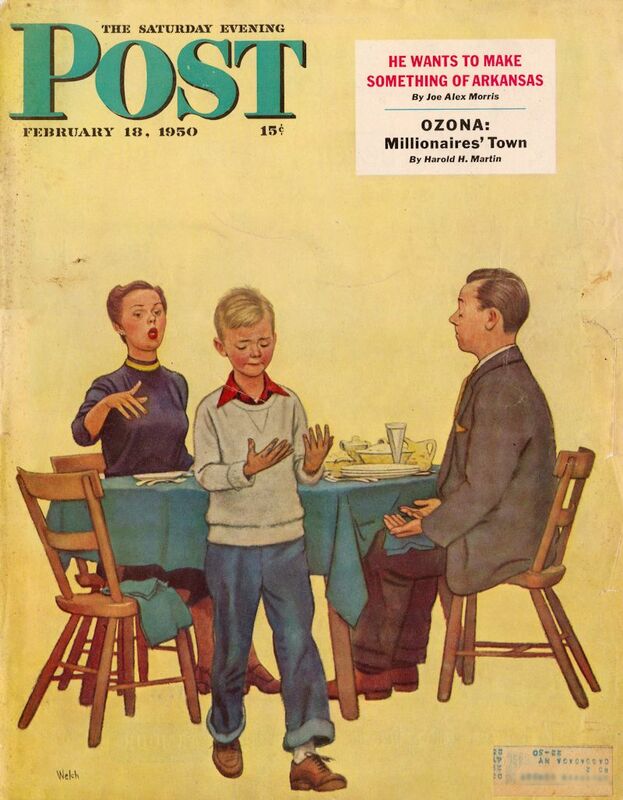 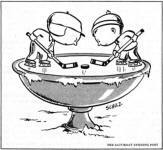 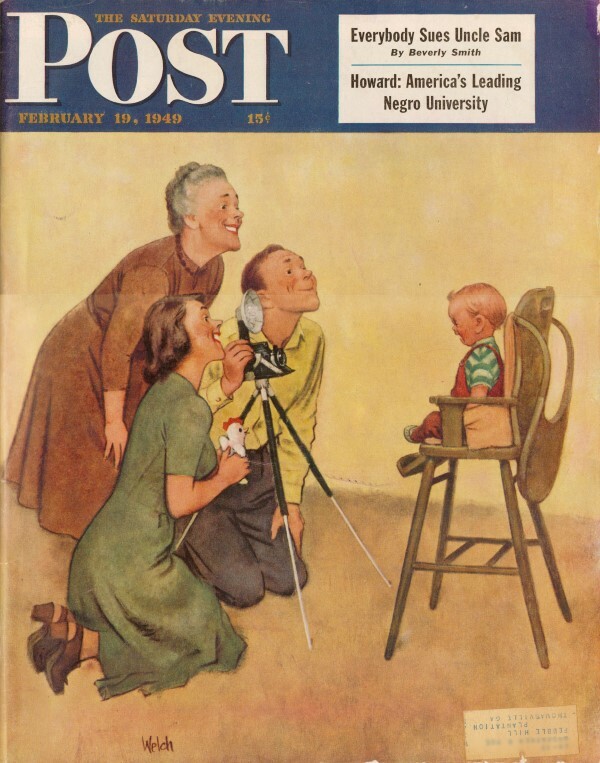 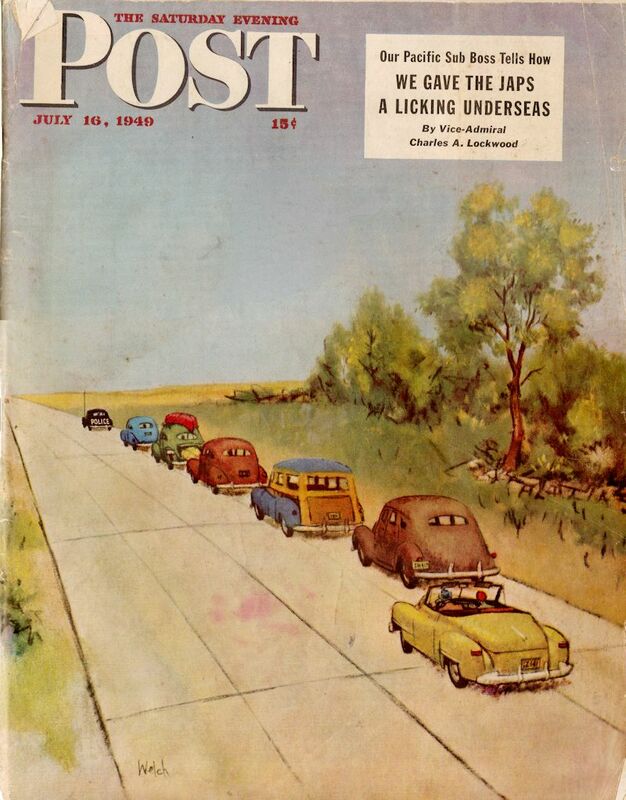 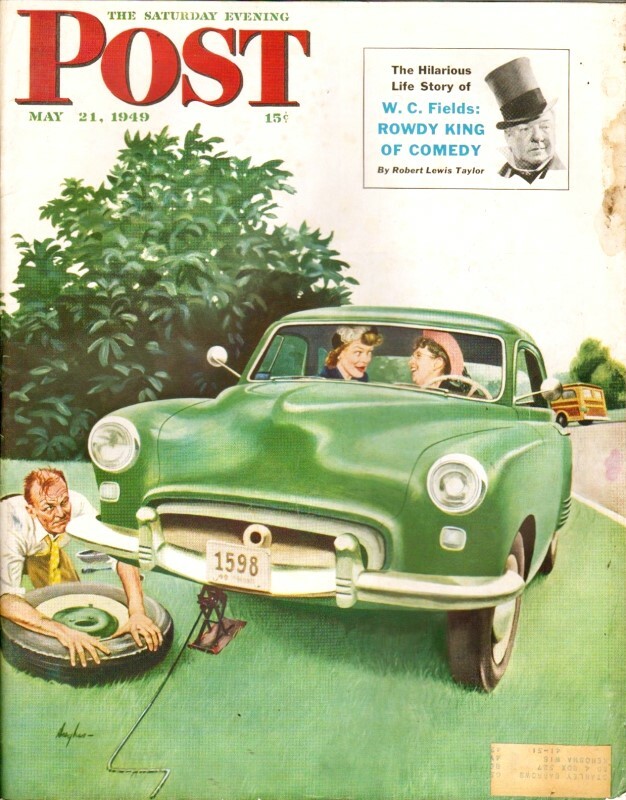 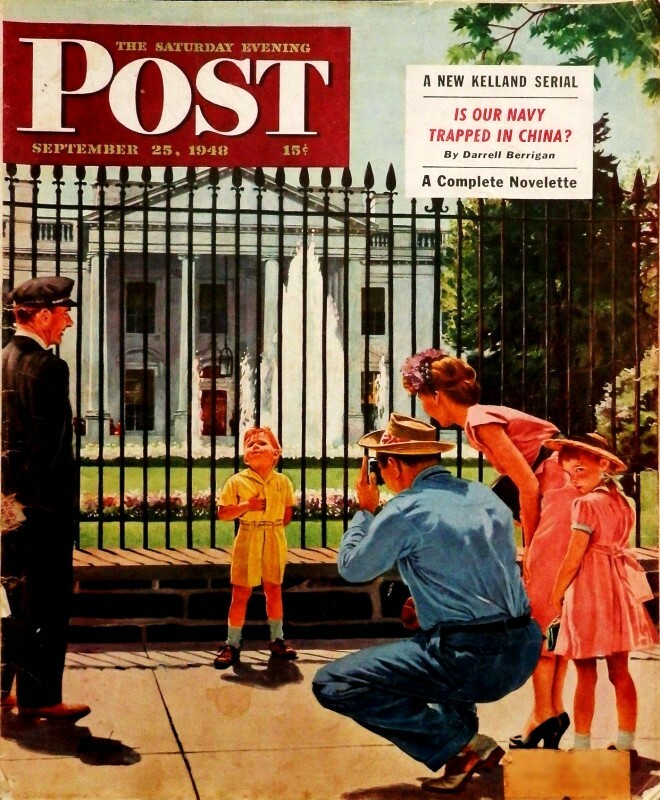 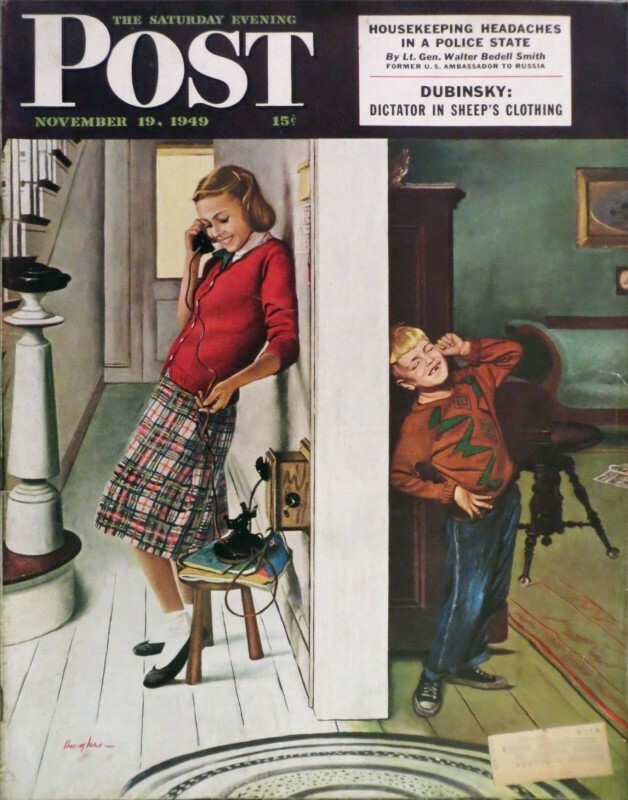 I had been under the mistaken impression that they were printed under the original name of "Li'l Folks," per his St. Paul newspaper appearances; however, Mr. Ken Sumrall (who graciously provided a few of these comics) pointed out that no titles were included in The Saturday Evening Post. 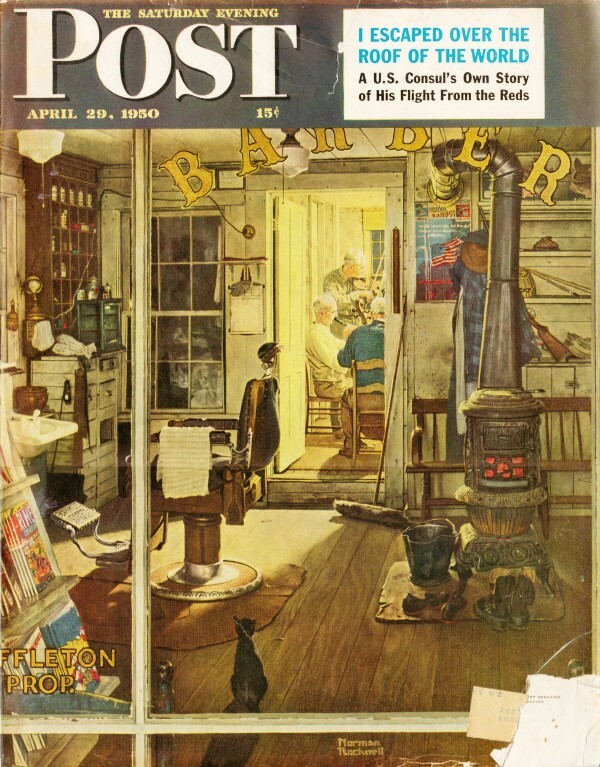 Here are a few of the comics that I scanned from editions of The Saturday Evening Post which were purchased on eBay.